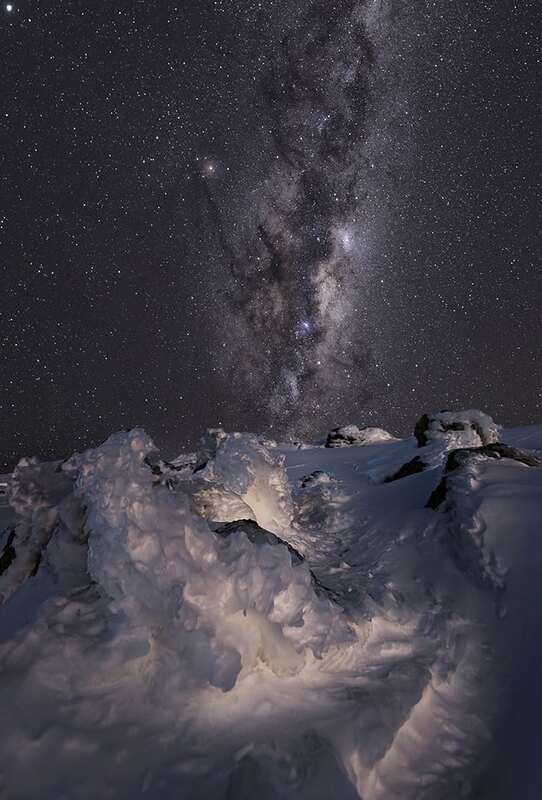 Luke Hasaart is a Snowy Mountains local who grew up in Berridale and now lives in Jindabyne. Like most kids who grow up in the mountains, Luke has been skiing since he was a toddler and he was one of the stand-out skiers when the Australian free-skiing scene kicked off in the early 2000s. While he may not spend much time in the terrain park these days, Luke is still a passionate skier, but since picking up a camera a few years ago he sees the mountains in a different light. 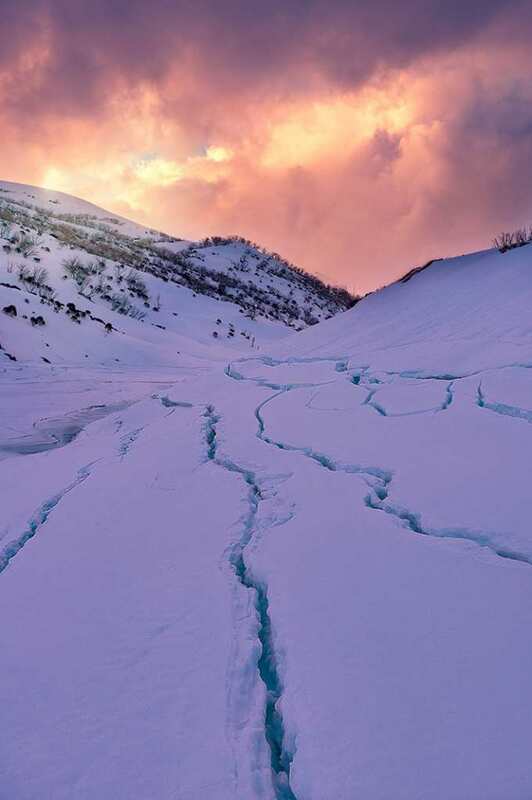 He worked for Perisher Media in the 2017 winter, shooting action and lifestyle photos for the resort, but his real photographic motivation are the landscapes of the Snowy Mountains and the Monaro. I thought of this shot all season, just waiting for the snow to melt enough for there to be plenty of water in the pools in front of the Tor, but still with some snow and ice along the sides. I had headed up on a scouting mission two weeks earlier to see how the thaw was going, but the foreground was still totally covered in snow. Two other mates and I gave it two weeks and I think we timed it perfectly. It’s times like this that are pretty unforgettable! Being the only one around for miles and not a sound apart from the snow squeaking under my ski boots. 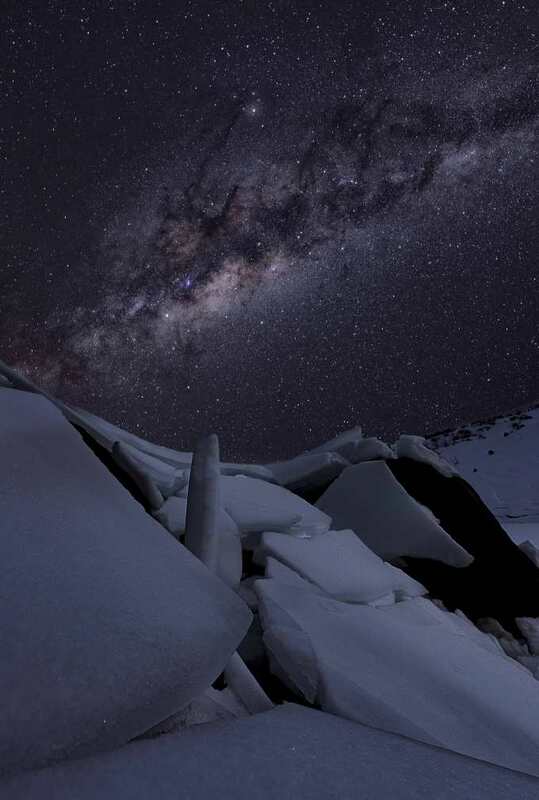 Seeing the sky shine like it does up there with no light pollution at the top of Australia is really worth seeing! The first snowfall of the season definitely gets everyone a little excited. 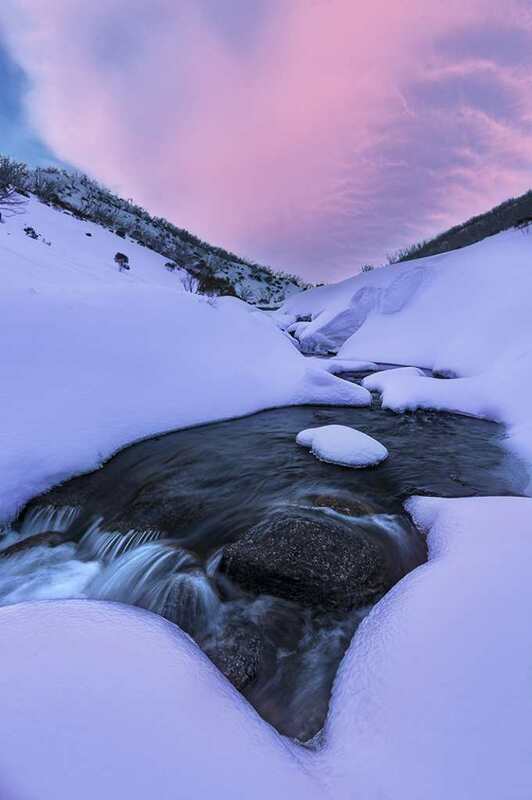 Looking down the Thredbo river at sunset. 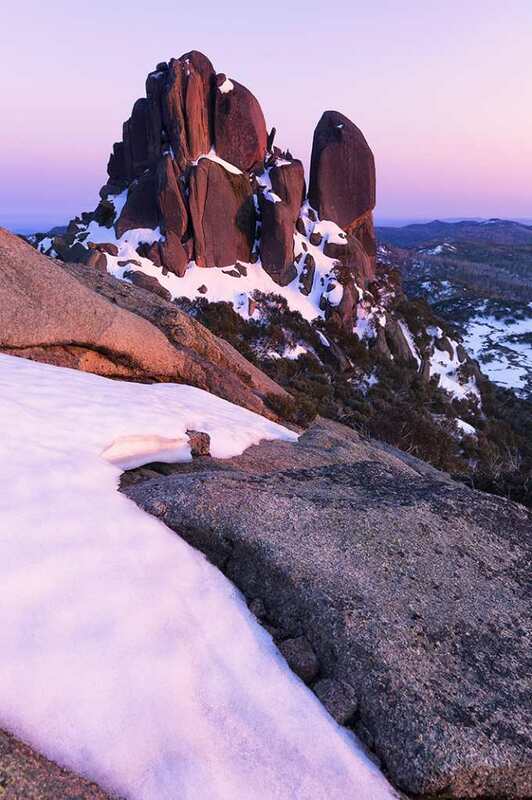 Mount Buffalo is absolutely stunning, with amazing 360-degree views just a little further up from this outcrop called Cathedral Rocks. Photos don’t do the size of this stack justice. It really is a monster that leaves you with a sore neck when you look directly up at it from the bottom. 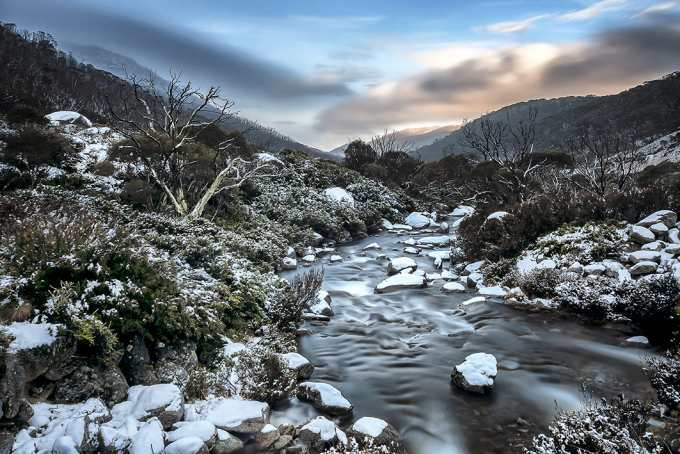 The Guthega river flowing down to meet up with the Snowy River and the Blue Cow Creek. 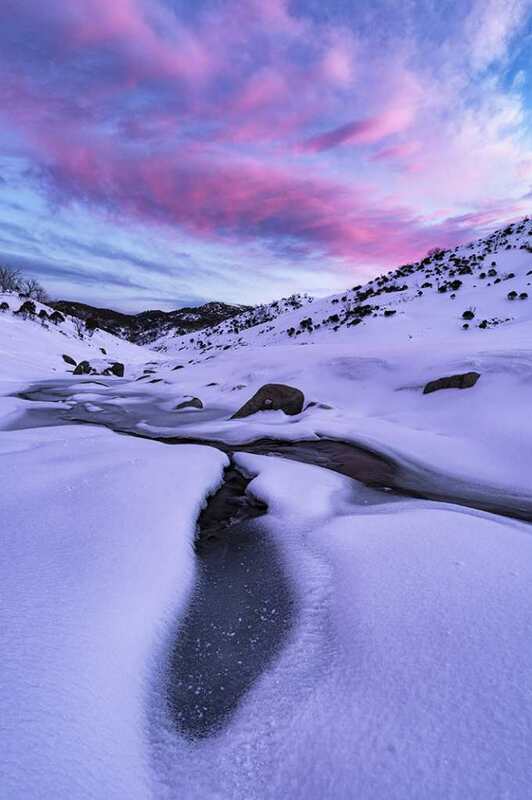 This little river is an absolute beauty, especially with a fresh layer of snow and a gorgeous sunset. 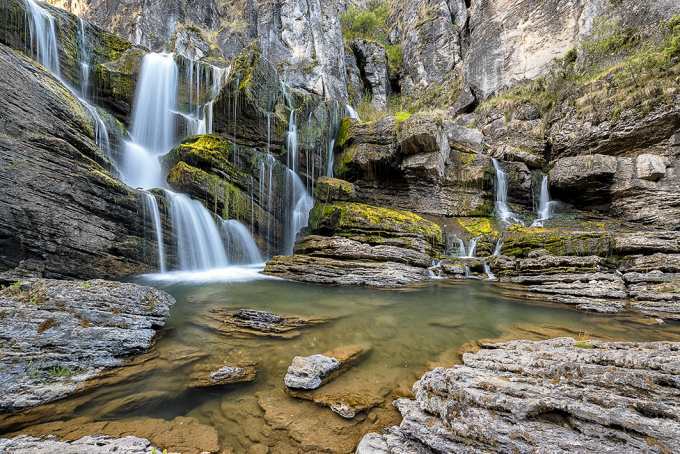 A few river crossings through a massive gorge that towers you on both sides leads you to the top of these falls. After a little mountain-goating over the edge this is where you’ll end up. It is such a stunning walk through Brumby territory. This was an amazing afternoon along the banks of the Guthega pondage. You could hear the cracking of the slabs underneath your feet as the thaw was taking shape towards the end of the season. There was some stunning light getting thrown around as it pierced through the cloud. When the warmer temperatures towards the end of the season start to show the snow melt puts on a great display. 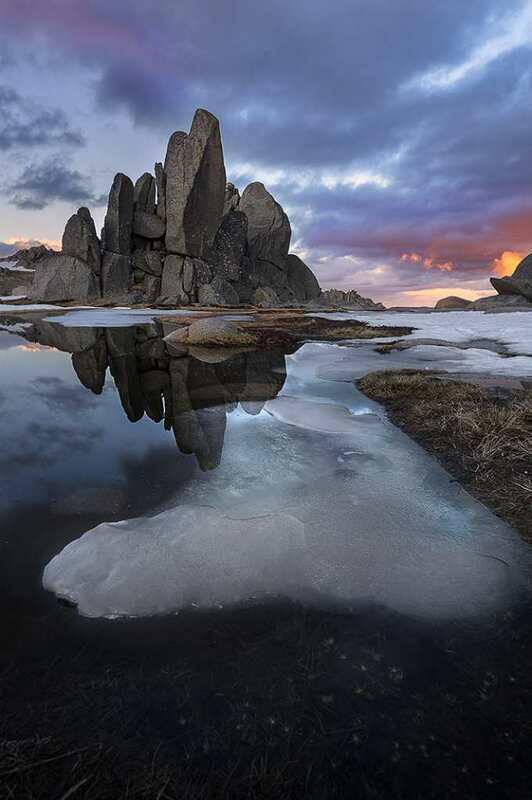 Cracked slabs of snow and ice falling around rocks on the banks of the Snowy River. Snow covered rivers are definitely something I have a soft spot for. I think the tranquillity of sitting beside it hearing the water flow is like nothing else. This is looking towards Guthega where the river starts to freeze up before hitting the pondage. This was taken just out of Berridale with permission from the owner for access the property. 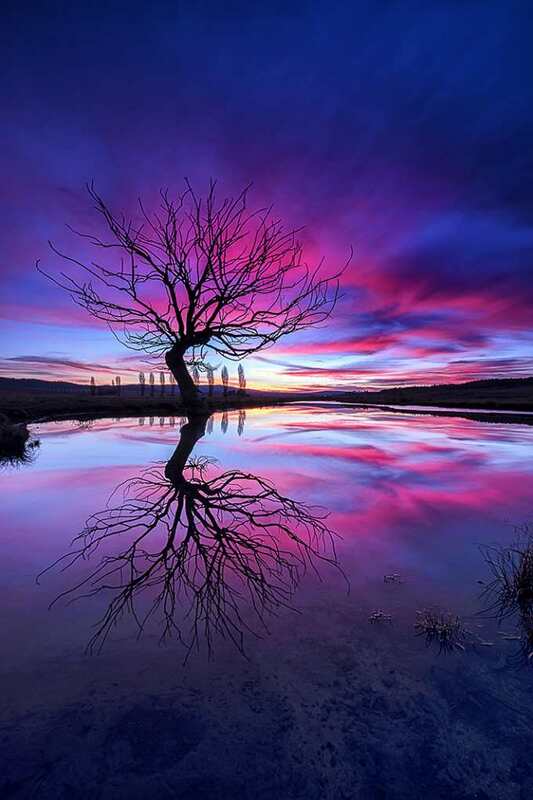 I had envisioned this shot for some time and heading back from Cooma one day everything looked as though it was lining up. There wasn’t a breath of wind and there was some real nice whisky cloud hanging around. When I got there, I was so amazed by how still this body of water was and I ended up getting the shot I had been dreaming of every time I had driven past it.